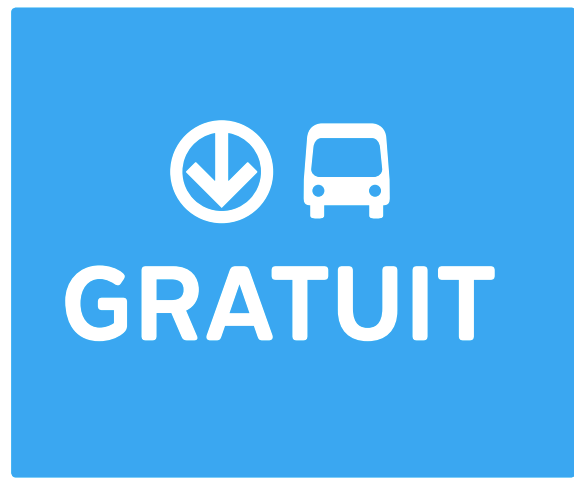 Two weekends ago, Montreal had a weekend with free transit. In general, this sounds like a good idea. It’s a way to get people to try out transit, maybe encourage them consider to use it more often. 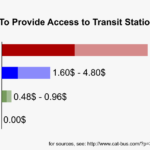 Or maybe use it on a path to make transit much more affordable or even free, as some advocate for. Rumors are transit was jam-packed all weekend. However, the whole thing does leave a bit of a bitter after-taste, because this wasn’t planned ahead of time in order to advance transit in general, but rather as a last-minute mitigation measure for the Formula E. This car-race set up in Eastern downtown brought barriers all over that part of the city, and by making transit free it was hoped some of the traffic and mobility problems could be aleviated. The politicians in charge are trying to sell the Formula E as advancing electric transportation, because the race cars run on batteries. Others view it as a bunch of green-washing. In any case, there’s been a lot of criticism due the large amount of money Montreal spent on the event, largely to build a temporary race track in the middle of the city (2km away from the permanent Formula 1 race track). And the free transit weekend can be viewed as adding to the bill. 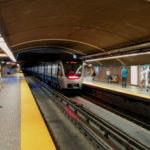 I’ve been asked to make an estimate how much the STM lost in transit fares that weekend. So let’s look at some numbers, without going too deeply into the political story. What fares do people use in general? If we want to know how much money was ‘lost’ in fares that weekend, we need to have an idea what the relative make-up of the various fares is, i.e. how many people use monthly, weekly, daily passes, or single trips. We also need to know how many such fares are bought for a weekend in the summer. The STM doesn’t really publish such detailled information, but we can infer it from some OPUS card tap-in data that was released for 2011 at some hackathon. We see that a good 60% of all trips use STM monthly passes, another 12% use regional tickets (TRAM), most of which are also monthly passes. Together with weekly passes, nearly 80% of trips are done via passes. About 20% of trips are done with single passes (most are bought as 10 at a time). The rest are basically rounding errors. What fares do people use on Summer Weekends? During the weekeend, especially in the summer, the make-up of fares will be different. Luckily the OPUS data includes some weekend days, so we can make a more exact inference. We actually only have data for one weekend in July, so the data may not be very representative — take it with a grain of salt. We see that during the weekend in the summer, there’s a much larger percentage of single trips (27% vs 19%), and much fewer regional passes (TRAM, 6% vs 12%). This makes sense: there are more occasional trips on the weekend, and fewer of the commuting suburbanites coming into town. There’s also a higher use of 3-day, 24-hour and evening passes, although their absolute number is still low. How much revenues were ‘lost’ on the Free weekend? Two big factors made the ridership increase on the free weekend: The events going on in downtown, like the Formula E, and the fact that the transit was free. 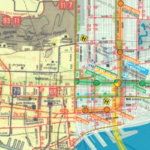 If we want to count only ‘lost’ revenue, we have to discount the fact that the transit was free — you can’t really count the lost revenue of users that only used the transit because it was free. Regarding the impact of the event itself, it’s hard to make an estimate. We can simply take the number of trips we know about, and note that this is a lower bound. For ‘lost’ revenue, we only have to consider usual revenue from weekend, day passes, evening passes and single trips. Weekly and monthly passes are paid ‘already’, so the impact should be small. There we have it. Apparently, the STM Montreal lost at least 1.2M$ as a mitigation measure for the impact of the Formula E. This matches earlier estimates. But it’s possible that this was always going to be a weekend where a lot of people were going to take transit, even if fares where charged, so the actual loss may be higher than that.